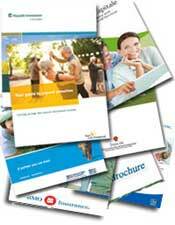 Get advice on variable annuities. 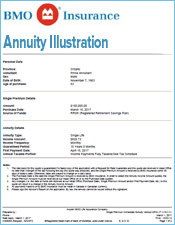 A variable annuity is simply an agreement between you and an insurance company in which you contribute a sum of money in exchange for a stream of income, either starting now or some time in the future. 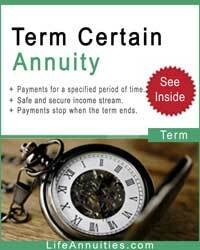 Annuities that turn into a stream of income immediately are called immediate annuities; while annuities that begin payouts at some point in the future are called deferred annuities. 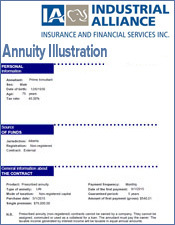 Immediate annuities are generally purchased with a single sum; deferred annuity contracts can be purchased either with a lump sum or with a series of contributions over time. 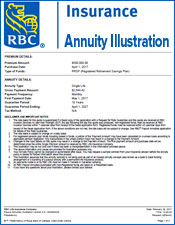 In a variable annuity, your contributions are invested in a variety of funds, called subaccounts, which you select. These subaccounts are designed to meet a variety of investment or savings objectives, such as aggressive growth, conservative growth, or principal preservation. Unlike mutual funds, whose shares are owned directly by the investor, subaccount funds are mingled in the general account of the insurance company. This arrangement allows the insurance company to provide a number of riders and guarantees not generally available to mutual fund shareholders, and helps protect annuity assets against lawsuits and creditors in some jurisdictions. Traditionally, mutual fund salespeople have encouraged investors to use their products to provide for retirement income. 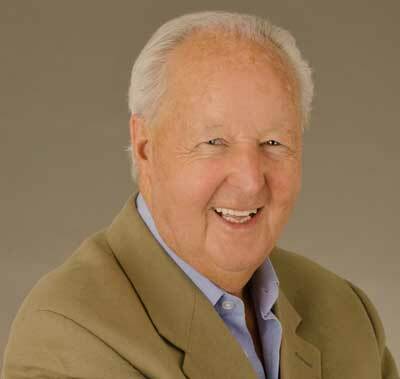 They will typically run a computer program – called a Monte Carlo simulation - showing investors “if you start with this much money at age 65, and spend 4 percent per year, you have a 90 percent chance of not running out of money until you are 95.” But hanging your retirement income on the recommendations of a Monte Carlo analysis is exactly what it sounds like: A gamble. Only an annuity can provide you with a simple guarantee of periodic payments for life – no matter how long you or your spouse may live. This is a valuable protection against the possibility that you will outlive your assets. 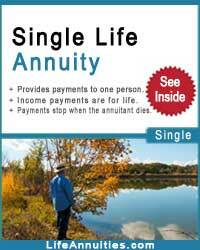 Some annuities, called lifetime annuities, promise a fixed, guaranteed level of income for life. With variable annuities, that income can go up or down, based on the performance of the subaccounts you select. Make sure you think very carefully about your risk tolerance as you enter retirement. 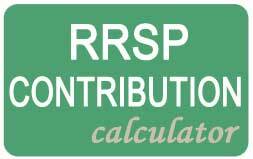 Some companies may offer a Guaranteed Minimum Income Benefit rider, or GMIB. This is a guarantee that based on your contributions, your income from the annuity at a certain age will not be less than a certain amount, regardless of what happens in the market. This is a potentially very valuable rider, though there is a fee for this rider. GMIB is more expensive now than it used to be, and is potentially very risky to the insurance company. Look for strong, established companies when purchasing this rider. 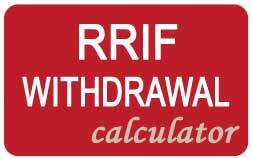 A similar rider, which guarantees you the right to withdraw at least the amount you paid into the annuity, regardless of market conditions, subject to a certain percentage limit. Example: If your annuity was worth $100,000, then falls to $75,000, a GMWB rider would allow you to withdraw, say, 10% of the value of your annuity per year until the entire 100,000 is recovered. The death benefit feature within variable annuities – not available with mutual funds - can be an important part of your financial plan. 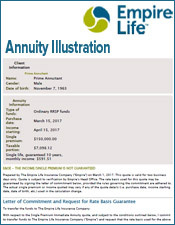 With an annuity death benefit, if you die before you start taking income from the annuity, your beneficiary is guaranteed to receive a specified amount – typically the amount you contributed – regardless of whether your subaccount investments have lost money. 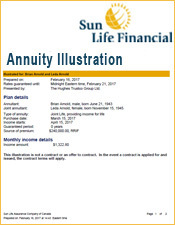 This may allow you to invest more aggressively for long term needs, knowing that if something happens to you, the annuity death benefit will make up for any short-term losses within the subaccounts. 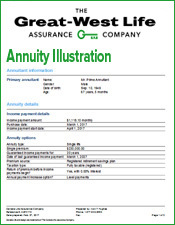 Some annuities offer a ‘stepped up’ death benefit, in which the death benefit gets bigger as the annuity grows in value – typically resetting to match the value of the annuity as of the anniversary of the date of the contract. This means that as long as you hold the annuity, its value is ‘locked in’ as of the anniversary date. Your heirs are guaranteed at least the value of the contract as of that date unless you withdraw funds. There is typically a charge for this guarantee. 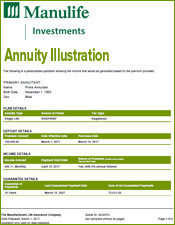 Variable annuities are tax-deferred. 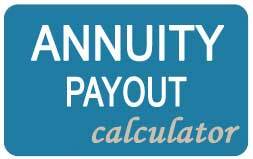 This means you pay no taxes on any gains within the annuity until you start taking money out. Unlike mutual fund shareholders, you can also transfer between subaccounts without incurring capital gains taxes. You also don’t have to worry about getting socked with an unexpected tax bill, thanks to a taxable distribution, as sometimes happens to mutual fund shareholders when fund managers have sold assets at a profit but cannot match their profits against losses. (This is not a factor when funds are held within retirement accounts). When you take your money out of a variable annuity, you will be taxed at ordinary income rates on your gains, rather than at long term capital gains rates, which are historically lower than income rates. You should be aware that if you hold an annuity within a qualified retirement plan, such as a 401(k) or a 403(b), they are taxed exactly the same as mutual funds. You may wish to use annuities rather than funds because of their other guarantees, such as a death benefit or other riders available with the annuity that you cannot get with a mutual fund. But there is no additional tax advantage to doing so. Many states protect annuity assets against creditors, judgments and bankruptcy proceedings, though state laws vary widely on this point. Also, because annuities are generally not subject to probate costs when the owner dies. 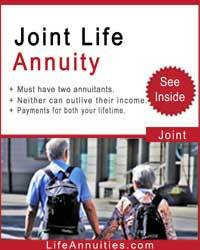 Instead, the annuity bypasses probate and goes directly to the beneficiaries you selected in the annuity application. 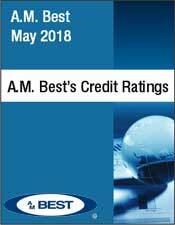 This happens in a matter of days, not months – and is an important advantage over stocks, bonds, mutual funds not held in retirement accounts, and other forms of assets. Unlike broker-sold mutual funds, which typically charge commissions of five to six percent, you pay nothing up front to purchase an annuity. This means that if you pay $100,000 to a mutual fund broker, he or she will pocket up to six percent, and put $94,000 into your mutual fund account. If you give $100,000 to an insurance agent for an annuity, you are immediately credited with the full $100,000. The insurance company compensates the agent. The catch? 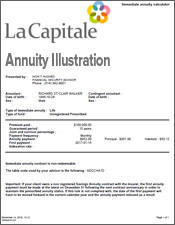 You agree to hold the annuity for a specified period of time. If you cancel the contract early, you will typically be charged a surrender charge for a set number of years. This is done so the insurance company can recoup the cost of paying the agent. For this reason, annuities are best suited for long-term savings, such as college or retirement savings. Some companies will allow you to withdraw a certain amount free of surrender charges, however – say, ten percent per year, or enough to cover long term care expenses. 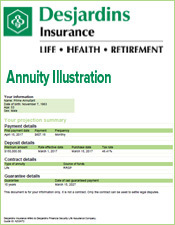 Variable annuities also have mortality and expense charges, expressed as a percentage of your account value. This can be anywhere from 1 percent to 4 percent per year. Typically, the more guarantees with the contract, the higher the M&E charges. The insurer may deduct a record keeping or other account fee. This could be expressed as a percentage or as an annual flat fee of perhaps $20 to $50 per year. Each of the underlying investment options has its own set of fees with it. You will indirectly pay fees based on your subaccount options. 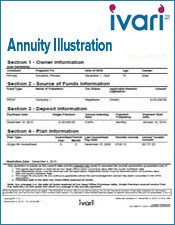 Variable annuities can be a vital part of any retirement plan. Because they are primarily insurance products, rather than pure investment vehicles, they can provide a number of promises, protections and guarantees not available from mutual funds, stocks, bonds, CDs, money markets, real estate, or other kinds of assets. Costs to hold them are generally higher than stocks, bonds or mutual funds. 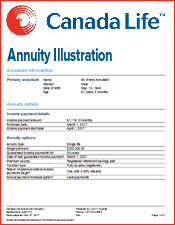 Assets held within variable annuities grow tax deferred, and you can exchange an unlimited number of times within subaccounts, or from one annuity to another, without incurring a taxable gain. When you take money out, you can expect to pay ordinary income taxes on any amount attributable to gains. 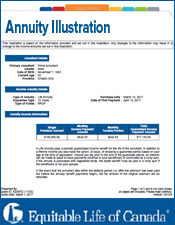 Because of surrender charges, variable annuities are best used for long-term savings. 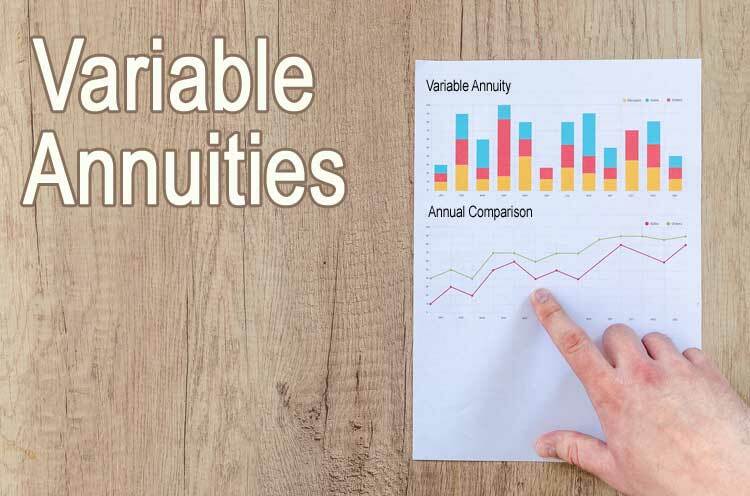 Don’t use variable annuities for money you will need in less than five or six years – and look carefully at surrender charge provisions before you invest. They aren’t a cure-all, and there are advantages and disadvantages with every product. But if you need a combination of tax-deferral, asset protection and potential for growth, and you have a time horizon of at least six to ten years, consider variable annuities. Complete our Variable Annuity Form and we'll help guide you on the many choices of funds ranging from small cap equities to bonds and dividend funds.